Throughout the ages, people have used pictures to convey important information. Cavemen used pigments to draw symbols and primitive figures on cave walls; this was their form of storytelling. Today, with technology progressing in leaps and bounds, pictographs have evolved into computers, phones, and iPads. We love how murals are tributes to tradition that both beautify our city and communicate a wealth of history in one image. 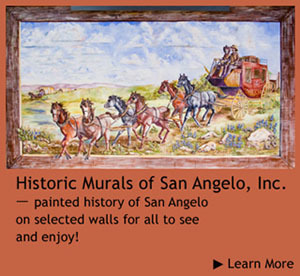 Our murals will last for many years as generation upon generation of Texans view the details of our past. 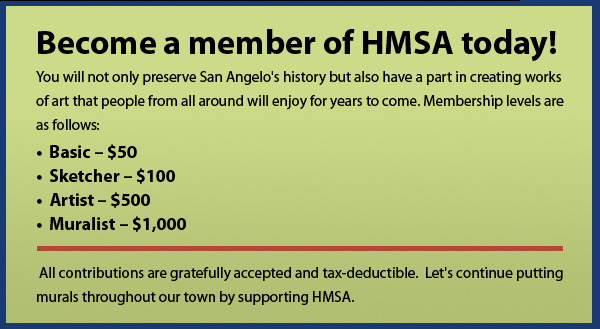 Please help us keep this tradition alive! Your contribution is needed and deeply appreciated.